Other Names – Pygeum africanum is also known by the common names African Plum Tree, African Pygeum, African Prune, Ciruelo Africano, Amande Amère, and Prunier d’Afrique and lots of other common names. Where it Grows – Pygeum grows in Africa, Madagascar, Grande Comore, the island of Bioko, and the island of São-Tomé at elevations of over 3,000 to 10,000 feet. Contains Lots of Healing Phytosterols – Beta-sitosterol, Beta-sitosterol glucoside, Campesterol, Beta-sitostenone, and Daucosterol all of which help to reduce prostate size and inflammation. Also Contains – Lots of Fatty Acids, pentacyclic triterpenes, and esters of ferulic acid. Prevents and Heals Prostate Enlargement – All these agents help to block the growth of prostate tissue decreases the function of prostate growth factors and prevents prostaglandin production. Study – In one study of 47 men… 42 were healed of their prostate disease by taking 100 mg daily… with no symptoms at all at the end of the study. 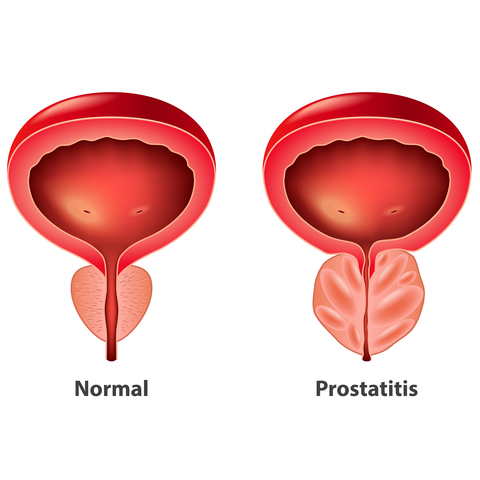 Study – In another study of 18 men all their prostate inflammation problems improved and they were able to urinate normally. Study – In another study in 2012 showed that Pygeum could slow the growth of prostate cells and prevent prostate disease. Study – A European study showed with 134 patients that those who took Stinging Nettle and Pygeum together for 28 days had a significant decrease in symptoms. Reviews – According to 2 separate literature reviews there have been 18 studies with over 1,500 men with improved outcomes of their prostate disease taking Pygeum. Prevents Prostate Cancer – It also seems that Pygeum africanum kills cancer cells that are formed and prevents their growth. Study – A study in 2012 showed that Pygeum could prevent prostate cancer. Study – More studies in 2010 and 2011 showed that Pygeum could control prostate growth. Powerful Anti-inflammatory – Pygeum also contains arachidonic acid which is a powerful anti-inflammatory agent that helps with inflammation of the prostate and inflammation of the body in general. Study – A study in 2014 showed that Pygeum worked wonders for prostate inflammation. Helps with Kidney and Bladder Inflammation – And Pygeum works well for inflammation of the urinary tract in general. Study – One study showed that Pygeum worked very well for inflammation of the kidneys, bladder, prostate, and urethra. Improves Bladder Function – Studies show that those who take Pygeum see a marked increase in bladder function in cases of prostate disease and diabetes. Study – Studies in 2011 and 2014 found that Pygeum worked well for stimulating bladder healing… but it does not seem to heal bladder infections. Lowers Fevers – Pygeum in normal doses can also lower fevers when a person has come down with a cold, flu, or some other disease. Great for Stomachaches – Pygeum also helps with the average stomachache and GI disturbance… soothing and relaxing the GI tract. No Side-Effects – There are no really side-effects if taken in normal doses. In large doses, it can cause nausea and abdominal pain. But Pygeum should not be taken by those who are pregnant, nursing, or by small children. Forms – Pygeum can be found as powders, capsules, tinctures, and other products. Dose – Standard daily dose is from 75 to 200 mg and should only be taken for a short period of time perhaps up to 30 days. All herbs and supplements place a burden on our liver, kidneys, and nervous system and thus should be used in moderation. I normally recommend 7 to 10 days but you can go a bit longer with this herb. Finding – You can find Pygeum on amazon.com and eBay.com and at your local health food store. Use this product prudently because the trees are being killed for this agent and these trees are very slow growing. A Better Way to Heal Prostate Disease – But the best way to heal prostate disease without having to take anything is to go on my diet and lifestyle as I did and my prostate disease disappeared in 3 weeks. — REALLY. This entry was posted in Healing Herbs and tagged 7 Amazing Health Benefits of Pygeum Africanum, Best Way to Heal Prostate Disease, Bladder Discomfort, Dr. Paul Haider, Fever, GI Discomfort, Great for Prostate Disease, Having a Great Life, Healing, Health, HH, Inflammation, kidney disease, Master Herbalist, Other Names, Photo, prostate cancer, spiritual teacher, stomachaches, Urinary Tract Inflammation, USA, Where it Grows. Bookmark the permalink.